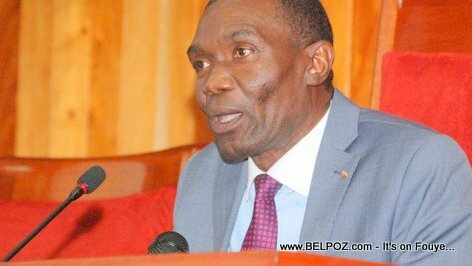 Rumors spread on Social Media Haitian Senate president Joseph Lambert was rushed to the hospital in the Dominican Republic after he had a heart attack during a meeting with President Jovenel Moise. While Senator Lambert denies the rumors in a tweet Monday, he did admit, he is in the Dominican Republic for a medical check up. "I am doing pretty well," Senator ambert said in a tweet. "Unlike the rumors. I left the Haitian capital last Friday. Like every year, I do a full checkup of my health." Ak ki figi yon senatè pa wont pou l di w li al Sen Domeng li al fè tchek up sante? Poukisa nou pa kreye kondisyon pou lakay nou gen lopital? They have millions of dollars, fraud, scam the population and they can't have decent care in their own motherland. Bri kouri Senatè lambert kite Haiti nan anbilans kouri ale Sen Domeng pou yon urgence medical.